In the hottest desert water is a scarce resource. A little flower needs water to survive. 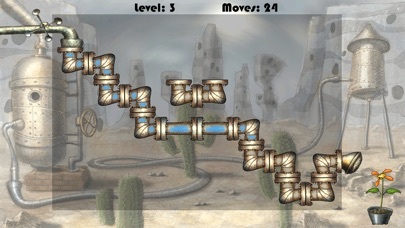 Connect the pipelines to bring water and save the flower. 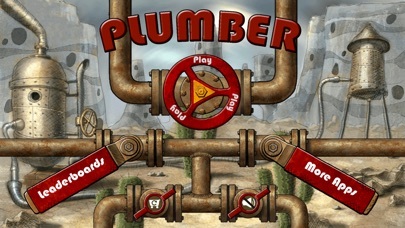 Expert Plumber is a free puzzle game easy to play but hard to master. Simply turn the different pipe pieces by touching them and connect all of them to make a complete pipe (that's the work of a plumber !) and make the water reach the flower ! You have a limited number of moves each round and you have to save the flower before running out of moves (touching 1 pipe = 1 movement). There is no time limit but you will have to think well before each move. Expert Plumber puzzle contains 100 free levels with increasing difficulty and additional level pack with another 100 levels! 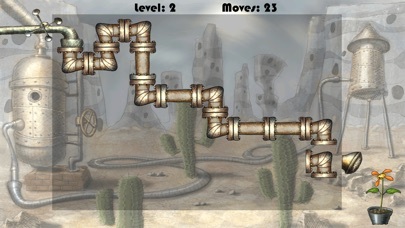 Plumber is really fun and requires strategy to fix the pipeline in as few movements as possible. 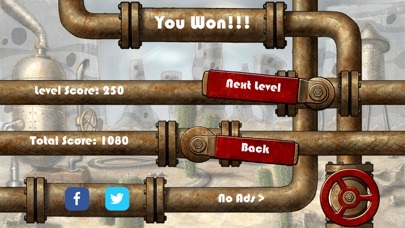 Each solved level adds points to your score and helps you become an Expert Plumber. I really enjoy this game and I play it to relax. But if I have the noises turned off the ad sounds should be turned off too. At the moment there is one incredibly annoying add in Spanish for Pennzoil, that starts off with an iPhone alarm waking a guy up. That is the exact opposite of relaxing to me. And I still have to give up on this game if it continues much longer. I really like this game fun to play with the grandchild. We think it is challenging . I'm glad I picked this game. Too quick, should hv more time to complete on lower levels. Good game if you want to be challenged. It really makes you think! Some of the levels are difficult others are pretty easy! I call it brain food! Before I could even hit play for the first time a video ad popped up. So I promptly closed the app and uninstalled it. Not worth my time.